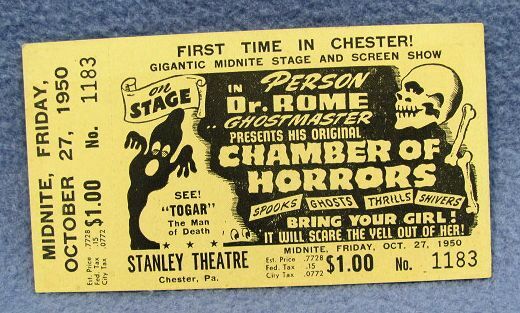 This is a theatre ticket from October 27, 1950 for the Dr. Rome Chamber of Horrors show at the Stanley theatre in Chester, PA. 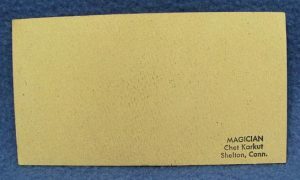 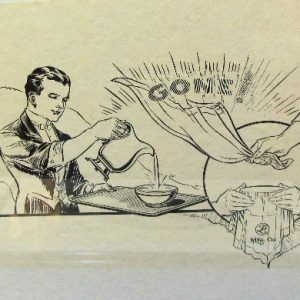 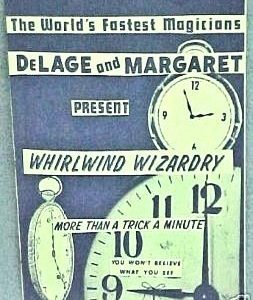 This came from the collection of well known Connecticut magician Chet Karkut from Shelton, CT and has his stamp on the back of the ticket. 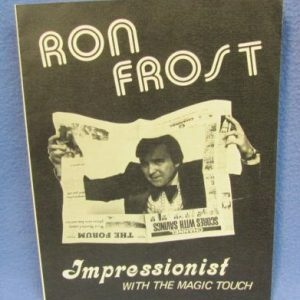 Very good undamaged condition .